There's a beauty! 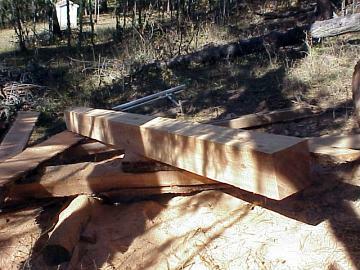 An well milled 8X8, tight grained and tight knots made of Douglas fir heart wood. And a nice day in the woods to boot. Sorry for the nasty smell and noise of the chainsaw creatures of the forest. It sure as heck beats a big old cat skidder rolling heavy handed over the land.